First class graphics on a 32“ touchscreen monitor, an individual game speed and detailed info screens make this Roulette so special. 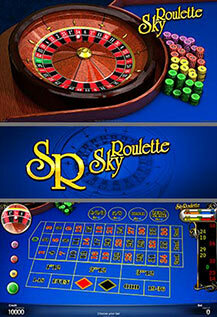 By playing „Sky Roulette“ you have the same betting opportunities as on a real-life casino roulette table. You can place chips on one or more numbers either separately or in specific combinations by fingertip or by „drag & drop“ on the touchscreen. For supporting the player’s strategy a detailed game history respectively statistical data is displayed which give information about the last fallen numbers and the frequency of „Outside bets“.